Oats are an excellent source of dietary fibre and protein as well as other valuable nutrients. The convenience and health benefits of rolled oats makes it a perfect choice as a breakfast cereal. 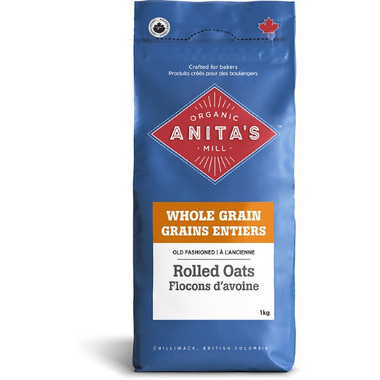 Regular rolled oats are also preferred in cookies and other baked goods. Regular rolled oats also make a great quick snack for the office, camping or anywhere you want the nutrition of oats without long cooking. Enjoy as a healthy and convenient breakfast cereal. Or mix oats into your breads, muffins, cookies, bars and granola for added fibre and a chewy texture. This product may contain wheat/gluten, tree nuts and/or sesame. Love this morning oatmeal and great to cook with. Perfect for baking or morning oatmeal.